Want to add a little creativity into your Wixie comprehension projects? Look no further than a Wanted Poster! • Several templates already exist student's Projects view. • Students only need a few Wixie skills to begin. • Wanted posters can be used in a variety of ways. 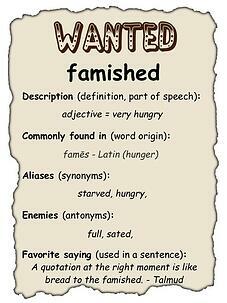 Teachers can search the Activities tab for Wanted Poster activities and then assign them to students in their classroom. 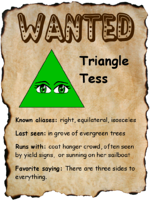 However, Wanted Posters make a great first Wixie project because templates can be accessed by students without teachers having to know how to search for activities and assign them. 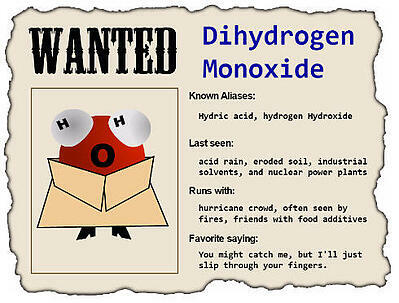 Students can find several Wanted posters in the Templates tab of their Projects view. This video shows how to access them. At the beginning of the school year, students can create "All About Me" wanted posters to share a bit about themselves to introduce themselves to their classmates and teacher. There are obvious features like physical appearance, but other entries like unusual features, typical clothing and activities, and identifying habits can help students get to know one another better. Creating a Wanted poster is a great way to get students thinking about the content (Webb's DOK Level 2) they are studying. Here are four quick ideas to inspire you. While definining a word and using it in a sentence isn't very exciting or effective, students do need explicit vocabulary instruction. Using visuals is important, but not necessarily more interesting. Use the Wanted poster template for vocabulary to ask students to "apply their knowledge of the definition and consider different ways the term might be used or encountered in the world beyond the classroom." Students could also create Wanted posters "definitions" about various literary genres, terminology they encounter in social studies, such as "totalitarianism." The Wanted poster is also a great comprehension task to help students clarify their thinking about definitions related to math. Wanted posters can also serve as a more sophisticated way to catalogue a character's traits and cite evidence from the text to support their thinking. It is natural to focus student's attention on the protagonist in a story, but it is often the antagonist that makes a story interesting or gives a plot direction. Have students create wanted posters for villains in the stories they are reading to evaluate comprehension and help them consider how they might craft a villain to add impact to their own writing. 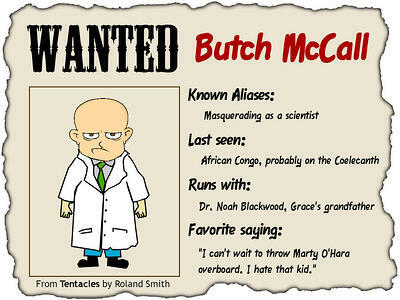 There are numerous opportunities for using Wanted posters in science also. Any time students need to know details about an animal, planet, molecule, or form of energy, Wanted posters can help them understand how its qualities make it unique and affect its connections to the world around it. For example, students can talk about the qualities of a physical element, a type of chemical bond, or even use a Wanted poster to describe a healthy habitat. You can also have students create Wanted posters to showcase the qualities of a great leader, public servant, community hero or friend. Areas for "often found in" are opportunities for them to not only define qualities but demonstrate what they look like in action. Editor's Note: With all of these ideas, what are you waiting for? You are Wanted in Wixie!